Tigera, a start-up based in San Francisco, announced $30 million in funding for its security and compliance solutions for Kubernetes platforms. Tigera says modern microservices architectures present a unique challenge for legacy security and compliance solutions since these new workloads are highly dynamic and ephemeral. This new architecture creates an explosion of internal, or east-west traffic that must be evaluated and secured by the network and security operations teams. The Series B funding was led by Insight Venture Partners, with participation from existing investors Madrona, NEA, and Wing. Orange Fab, which is an Orange Silicon Valley initiative for connecting startups to corporations for proof-of-concept projects, distribution, or investment opportunities, is kicking off an accelerator program called Fab Connect(ai) focused on artificial intelligence. Fab Connect(ai) will run in partnership with a group of top-tier investors led by Cathay Innovation, Iris Capital, Michelin Ventures, Total Energy Ventures and Homebrew. It is being launched in collaboration with prominent partners, including Google Cloud’s Startup Program, NVIDIA’s Inception Program, Microsoft IoT & AI Insider Labs, LAB IX Flex Ventures, Publicis Groupe, Groupe Seb, Michelin, Valeo, Ping An Technology and Lumi. Startups that participate in Fab Connect(ai) will have access to a network of seed-stage investors and corporations providing technical resources and real-world business challenges. 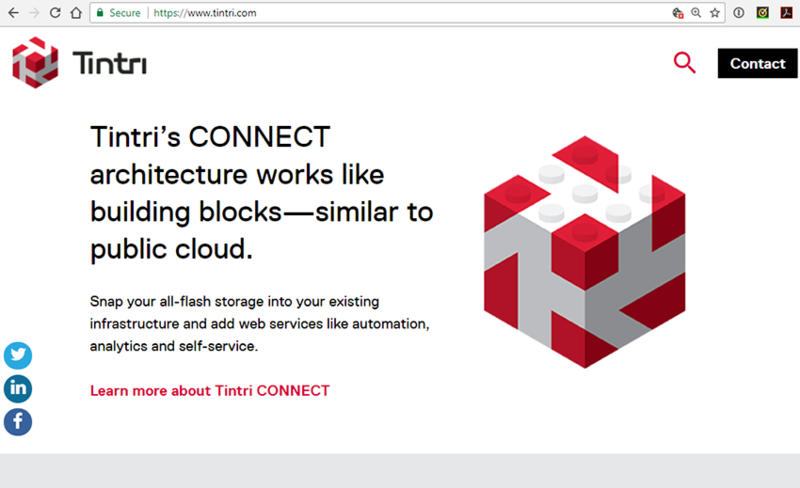 Less than one year after completing its IPO, Tintri (NASDAQ: TNTR), which specializes in enterprise cloud platforms, reported that it is currently in breach of certain covenants under its credit facilities and likely does not have sufficient liquidity to continue its operations beyond June 30, 2018. The company said it continues to evaluate its strategic options, including a sale of the company. Q1 revenue is expected to be approximately $22 million and GAAP net loss per share is expected to be approximately ($1.14) for its fiscal quarter ended on April 30, 2018. The closing bid price of the company’s common stock on the Nasdaq Stock Market has been less than $1.00 per share since May 22, 2018. Tintri warned that even if it able to secure a strategic transaction before the end of the month, there is a significant possibility that the company may file for bankruptcy protection, which could result in a complete loss of shareholders’ investment. A key ingredient is a virtualisation-aware file system that allows an organisation to view, manage and analyse application performance and quality of service. In a sense, it enables a private version of a public cloud. Use cases include server virtualisation, virtual desktop infrastructure, or VDI, disaster recovery and data protection, and development operations, or DevOps. Tintri says it has an advantage because innovation in storage has lagged and lacked granular level operation at the VM and container level. Wave Computing, a start-up based in Campbell, California that is focused on artificial intelligence (AI) and deep learning, has acquired MIPS Tech, Inc. (formerly MIPS Technologies). Financial terms were not disclosed. MIPS, which was founded in 1984 by a group of researchers from Stanford University that included John L. Hennessy, in known as a pioneer RISC processor Intellectual Property (IP) and licensable CPU cores. 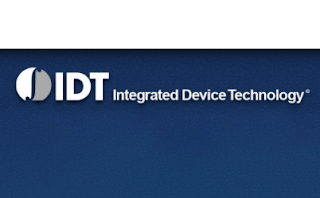 MIPS holds over 350 worldwide patents and currently has over 200 licensees. 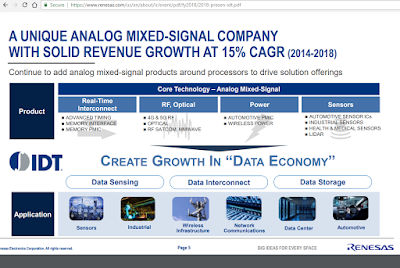 MIPS will operate as an IP business unit within Wave and will continue to license MIPS IP solutions that can now integrate Wave’s dataflow technology. Wave said the acquisition expands its strategy of offering AI acceleration from the Datacenter to the Edge of Cloud by extending the company’s products beyond AI systems to now also include AI-enabled embedded solutions. 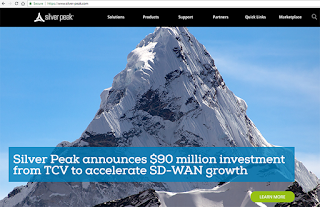 Avi Networks, a start-up based in Santa Clara, California, announced $60 million in new funding including investments from Cisco Investments along with DAG Ventures, Greylock Partners, Lightspeed Venture Partners, and Menlo Ventures. Avi Networks offers an application delivery controller (ADC) with a Software Load Balancer, an Intelligent Web Application Firewall, and an Elastic Service Mesh for container-based applications. The company says that as businesses shift their operations to clouds such as Azure and AWS, its intent-based software offers easier management, faster performance, greater elasticity, deeper analytics, and more powerful automation than legacy ADC vendors. Avi also reports that it has tripled its bookings over the past year, with significant adoption by the Global 2000 and 20% of the Fortune 50. This latest round brings Avi’s total funding to $115 million. Avi Networks is headed by Amit Pandey, who joined the company as CEO in 2015. Previously, Pandey spent nearly a decade at NetApp in a wide range of executive positions, and followed that with two successful stints at startups - first as CEO of TerraCotta that was acquired by the European software giant, Software AG and next as CEO of Zenprise that was acquired by Citrix. Avi Networks was co-founded in November 2012 by Umesh Mahajan, who previously was VP/GM of Data Center Switching at Cisco; Murali Basavaiah, who previously was VP Engineering at Cisco for NX-OS Software and Nexus 7000/MDS product; and Ranga Rajagopalan, who previously was Sr. Director of Engineering at Cisco and responsible for NX-OS systems/platform software for the Cisco Nexus 7000. Google Cloud will acquire Cask Data Inc., a start-up based in Palo Alto, California, that offers a big data platform for enterprises. Financial terms were not disclosed. The open source Cask Data Application Platform (CDAP) provides a data ingestion service that simplifies and automates the task of building, running, and managing data pipelines. 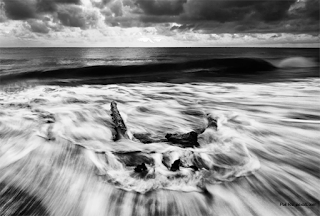 Cask says it cuts down the time to production for data applications and data lakes by 80%. 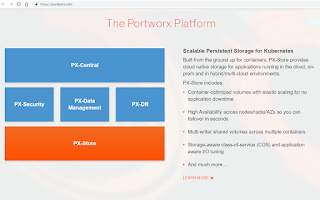 The idea is to provide a standardization and simplification layer that allows data portability across diverse environments, usability across diverse groups of users, and the security and governance needed in the enterprise. Google said it plans to continue to develop and release new versions of the open source Cask Data Application Platform (CDAP). Over the past 6+ years, we have invested heavily in the open source CDAP available today and have deployed our technology with some of the largest enterprises in the world. We accomplished great things as a team, had tons of fun and learned so much over the years. We are extremely proud of what we’ve achieved with CDAP to date, and couldn’t be more excited about its future. Cask was founded by Jonathan Gray and Nitin Motgi. Tachyum, a start-up based in San Jose, California with offices in Slovakia, unveiled its new processor family – codenamed “Prodigy” – that combines the advantages of CPUs with GP-GPUs, and specialized AI chips in a single universal processor platform. The company says its processor architecture attains ten times the processing power per watt compared to conventional designs. A key innovation of the design is the ability to connect very fast transistor with very slow wires, but technical details on the device physics have not yet been disclosed. Tachyum claims its Prodigy universal processor will enable a super-computational system for real-time full capacity human brain neural network simulation by 2020. One target application would be the real-time Human Brain Project, where there’s a need for more than 1019 Flops (10,000,000,000,000,000,000 floating-point operations per second - 10 exaflop). “Despite efficiency gains from virtualization, cloud computing, and parallelism, there are still critical problems with datacenter resource utilization particularly at a size and scale of hundreds of thousands of servers,” said Christos Kozyrakis, professor of electrical engineering and computer science at Stanford, who leads the university’s Multiscale Architecture & Systems Team (MAST), a research group for cloud computing, energy-efficient hardware, and operating systems. “Tachyum’s breakthrough processor architecture will deliver unprecedented performance and productivity.” Kozyrakis is a corporate advisor to Tachyum. Tachyum is headed by Dr. Radoslav ‘Rado’ Danilak, who previously was founder and CEO of Skyera, a supplier of ultra-dense solid-state storage systems, acquired by WD in 2014. He also was cofounder and CTO of SandForce, which was acquired by LSI in 2011 for $377M. Its cofounders include Rodney Mullendore (previously Sandforce, Nishan Systems, Sandia National Labs); Igor Shevlyakov (previously Skyera); Ken Wagner (previously Wave Computing, Silicon Analystics and Theseus Logic). Tachyum is funded by IPM Growth, the venture capital division of InfraPartners Management LLP. Nokia has acquired SpaceTime Insight, a start-up based in San Mateo, California with offices in Canada, UK, India, and Japan, specializing in IoT analytics. Financial terms were not disclosed. SpaceTime Insight provides machine learning-powered analytics and IoT applications. Its machine learning models and other advanced analytics, designed specifically for asset-intensive industries, predict asset health with a high degree of accuracy and optimize related operations. The company said customers include some of the world's largest transportation, energy and utilities organizations, including Entergy, FedEx, NextEra Energy, Singapore Power and Union Pacific Railroad. Nokia said the acquisition expands its Internet of Things (IoT) portfolio and IoT analytics capabilities, and accelerates the development of new IoT applications for key vertical markets. Bhaskar Gorti, president of Nokia Software, said: "Adding SpaceTime to Nokia Software is a strong step forward in our strategy, and will help us deliver a new class of intelligent solutions to meet the demands of an increasingly interconnected world. Together, we can empower customers to realize the full value of their people, processes and assets, and enable them to deliver rich, world-class digital experiences." TidalScale, a start-up based in Campbell, California, is on a mission to build the world's largest virtual servers based on Intel x86 commodity hardware. The company's "inverse" hypervisor combines multiple physical servers (including their associated CPUs, memory storage and network) into one or more large software-defined virtual servers. This is the inverse equivalent of VMware because a rack of physical servers are virtualized as though it were one. 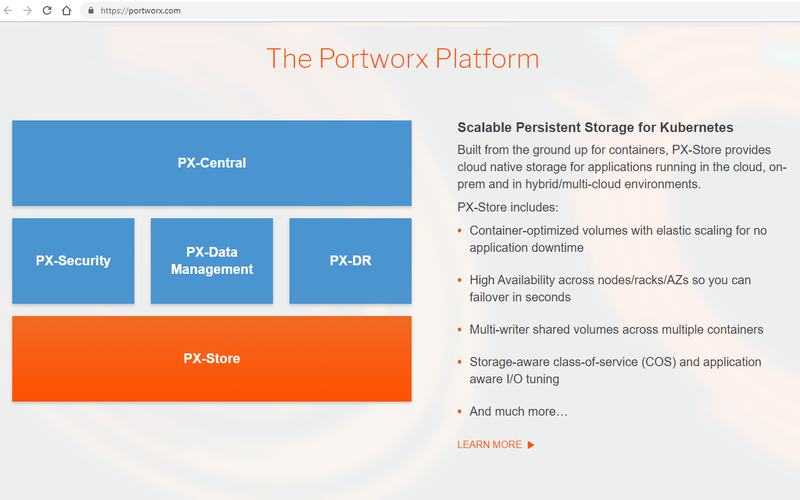 The concept is to scale-up a virtual server instance to handle Big Data workloads without making changes to applications or operating systems. Why use another hypervisor to create a bigger server? Doesn’t Moore’s Law already deliver more powerful processors over time? And why not just provision a large number of individual servers from a Cloud IaaS vendor? The answers here would be (1) very large in-memory datasets (2) Moore’s law is not keeping pace with rising workloads demands (3) too costly and too limiting, especially since public cloud operators tend to limit the memory size of bare metal servers to 2TB and because in load balancing a workload there is a tendency to provision to more resources than necessary. TidalScale was founded in 2012 by Dr. Ike Nassi, an Adjunct Professor of Computer Science at UC Santa Cruz, who has been involved in many tech developments including as Chief Scientist at SAP when the category of in-memory databases was established. He also was involved in 3 previous start-ups: Encore Computer, a pioneer in symmetric multiprocessors; InfoGear Technology, which developed Internet appliances and services; and Firetide, a wireless mesh networking company. The technical team also includes Dr. David Reed as Chief Scientist, who holds many patents along with four degrees from MIT in EE and CS including his PhD. Reed's contributions to the networking field include work on the original Internet protocol design team. His architectural contributions included the UDP protocol design, the “slash” in TCP/IP, and formulation of the End-to-End Argument as its primary protocol design principle. Later, he went on to become Chief Scientist at Lotus Development Corporation, an HO Fellow, and an SVP at SAO Reseach. 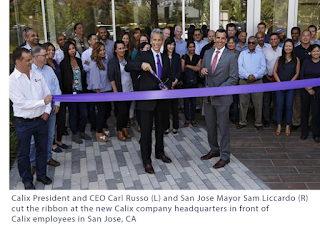 On the management side, TidalScale is headed by Gary Smerdon, who previously was the EVP & Chief Strategy Officer of Fusion-io, the devel.oper of flash-based PCIe hardware and software solutions that was ultimately acquired by SanDisk in 2014 for $1.3 billion. Before that, Smerdon was SVP and GM of the Accelerated Solutions Division at LSI, an internal startup that he founded. Smerdon also held executive positions at Greenfield Networks (acquired by Cisco), Tarari (acquired by LSI), Marvell, and AMD. TidalScale, which first began shipping in 2016, aggregates all the resources (memory, cores, storage and bandwidth) of low-cost, high-performance, 2-socket Intel x86 servers into one or more Software Defined Servers. 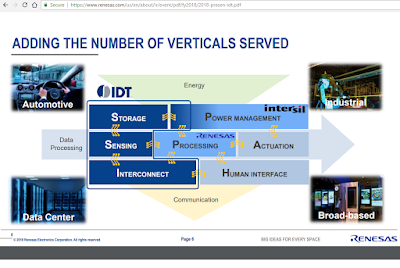 This accomplished by running a TidalScale HyperKernel on the physical server and a "WaveRunner" control plane and management console to orchestrate the spinning up or spinning down of virtualized servers. The HyperKernal instance on each physical server communicates with other HyperKernal over the Ethernet network, which essentially functions as a combined memory and I/O bus. Thus memory performance will be determined by the latency and throughput of the Ethernet connection. Still, for applications such as very large in-memory databases, a TidalScale software-defined server consisting of five physical nodes each with 128GB of DRAM, will be better than a single server with 128GB of DRAM if the memory required exceeds 128GB and a secondary SSD must also be employed. This is because DRAM performance is roughly 1000X that of flash memory. Software-Defined Servers can be configured with dozens or even hundreds of processor cores, tens of terabytes of memory, and as much storage and networking I/O as needed. The configuration of servers can be automatically right-sized to the workload. TidalScale allows Docker containers and container management platforms (Kubernetes) to run on top. For instance, TidalScale could be used to deploy a single Linux instance with 15TB of DRAM and up to 400 cores by leveraging dozens of servers in a cloud data centre. As mentioned above, TidalScale's paradigm scale-up paradigm on commodity servers should be especially relevant to in-memory databases, such as SAP HANA. The company says it can configure up to 64TB of in-memory performance on 2-socket Intel x86 servers. Currently, cloud customers can TidalScale to on standard servers available on IBM BlueMix, OrionVM’s Wholesale Cloud Platform, and Oracle Cloud Infrastructure, with virtual systems ranging from dozens to hundreds of cores and featuring up to 30TB or more of memory. Natural allies then would include any company in that database ecosystem. Because TidalScale was exhibiting at the Open Compute Project Summit, it reasonable to assume that it sees the hyperscale cloud companies also as potential customers. TidalScale has received a number of awards, including being named a Gartner Cool Vendor, an IDC Innovator for 2017, a Red Herring Top 100 North America recipient for 2017. Another milestone occured in November 2016 when Infosys made an equity investment in TidalScale. Financial terms were not disclosed. Crunchbase says TidalScale has gone through several rounds of venture funding, raising at least $11.8 million, probably more. In the broader context of software-defined data centres, the need for scale-up servers will certainly be just as important as scale-up storage. Many start-ups have pursued the JBOF (just a bunch of flash) storage array opportunity, and some of these companies were acquired at nice premiums and other completed IPOs. The software-defined server space likely won't have as many start-up entrants, giving this company a better chance at driving its inverse hypervisor paradigm forward. DeepScale, a start-up based in Mountain View, California, announced $15 million in Series A funding for its work in efficient deep learning perception software for use in mass-produced automated vehicles. DeepScale said it is using efficient deep neural networks (DNNs) on small, low-cost, automotive-grade sensors and processors. The goal is to interpret and classify sensor data in real-time for automated vehicles. "One of our core objectives is to drastically reduce the number of deaths and injuries on the road," said Forrest Iandola, co-founder and CEO of DeepScale. "The company's Series A funding will not only empower our engineering team to continue to make breakthroughs in automated driving safety, but will also help us attract the brightest talent in the industry to transform the future of transportation." DeepScale says it has lined up a number of strategic partnerships with Tier 1 suppliers, OEMs and semiconductor suppliers to provide automated driving perception solutions, including Visteon and HELLA-Aglaia Mobile Vision GmbH, a major German automotive supplier. The funding round was led by Point72 and next47. Additional Series A funding was provided by existing investor Autotech Ventures and Trucks Venture Capital. Previous seed investors included Andy Bechtolsheim, Ali Partovi, Lip-Bu Tan and Jerry Yang's AME Cloud Ventures.